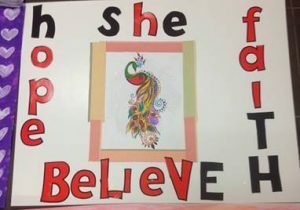 The residents and volunteers at Women’s Community House (WCH) recognized and celebrated IWD by expressing their thoughts creatively through poster art. These times of crafting together provide valuable and safe opportunities for residents to chat about IWD and other things that may not be expressed so openly in other settings. 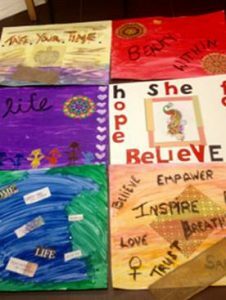 These photos display some of the posters created during this year’s IWD activities at WCH. The above is from the International Women’s Day Official Website. View the full website here https://www.internationalwomensday.com/.